Top Brand Cycles Townsville carries a wide range of cycling apparel from race fit road gear to relaxed enduro style we have something for everyone. Click on this link to browse the latest styles from Specialized. Our shop kits are produced by Australian brand Ventou and we also carry MAAP, FONDO and Pearl Izumi - and if we haven't got your size we will try and get it for you! There’s no law against wearing clingy road shorts or baggy hiking shorts when you ride beyond the pavement. But you’ll enjoy time on your mountain bike a lot more if you have clothing and protective gear that fits what, how and where you ride. Protection is key, too. Whether your riding approach is cautious or audacious, you’ll want ample coverage to protect you from the hazards of brush, branches, roots and rocks. This article includes some things to consider as you decide what goes into your mountain-bike gear closet. Like their road counterparts, mountain-bike shorts offer stretch for easy leg movement and a padded crotch liner to reduce friction and wick moisture. For most styles of mountain biking, aerodynamics is rarely a concern, so your shorts can have a baggy fit. However, if you race or ride a cross-country bike, you’ll likely choose shorts that are tighter fitting and more aerodynamic. And some fitness riders prefer form-fitting shorts because they provide muscle support. Most mountain biking shorts have sturdy fabrics and plenty of pockets. As your need for abrasion protection increases, so should the weight of the fabric and the length of the shorts. Downhill riding shorts, for example, should be thicker and longer than shorts worn for other riding styles. Padding: Integrated padding in mountain bike shorts can be slightly thinner than in road shorts because you sit more upright and your riding position continually varies between seated and standing. Most liners are removable, which gives you the option of buying bike underwear—separate, padded liner shorts. (Note that, regardless of the option you choose, don’t wear non-bike underwear with your liners, because you’ll likely suffer from chafing.) Whether you choose the integrated liner or separate bike underwear is largely a matter of personal preference. Generally, mountain-bike jerseys don’t differ too much from road styles. In order to efficiently wick away sweat, they will be close-fitting, but perhaps a bit looser than road-bike jerseys. For more gravity-oriented riding styles, the fit can be even looser. Longer sleeves provide additional coverage from brush and branches. If you plan to wear a pack, rear pockets won’t be needed. For packless rides, pockets are handy for stashing keys, food, a tire-repair kit, a phone and cash. A ventilating front zip is nice to have when you’re pushing the pace or climbing hard, so many cross-country riders look for this feature. Two features distinguish the gloves mountain-bike riders wear from the gloves of road cyclists: padding and finger coverage. Because grips are padded on a mountain bike, having padding in gloves is optional. For rides lasting several hours or more, you may appreciate the increased comfort padding provides. Gloves with no padding, though, are lighter, cooler and allow you to maintain better bar feel—a plus when you’re doing steep, fast or technical descents. And you see far fewer fingerless gloves in the wilds. 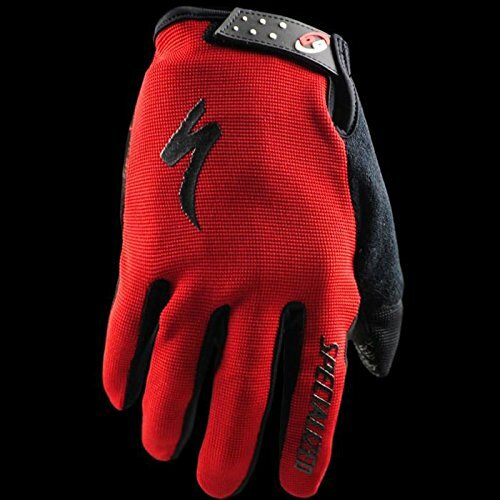 Sweaty hands are a minor discomfort compared to bloody knuckles, so full-fingered gloves are almost always the wiser way to go. Pedal Compatibility: Your first consideration is compatibility with the type of pedal system you choose. You can also get shoes that work now with platform pedals and can accept a cleat later to work with a clipless pedal system. Walkability: Another big consideration for mountain biking is how much walking you anticipate. Grippy rubber outsoles with lugs make walking on trails and scrambling over obstacles easier to do, which you will do more often if you’re a newer rider. And if your bike becomes unrideable after a mishap, you might also be going on a hike. Pedaling Efficiency: Stiff cross-country/trail shoes are designed for efficient pedaling, but can be more difficult to walk in. These shoes are also usually better vented than softer, street-shoe-styled options. Your style of mountain biking is the main consideration when you’re picking a helmet. Disciplines that require more technical skill and have steeper descents simply require more coverage. Cross-Country Riding: Speed on the uphill counts here and the downhills typically aren’t all that steep. So look for a helmet with similar coverage to a road helmet and one that offers plenty of ventilation. Trail Riding: Trail riders usually encounter more technical terrain than cross-country riders. So you can look for more protection and coverage—longer on the sides and back—than you’ll find in a road or cross-country helmet. The advice for pads follows that for helmets: You want more padding and more coverage as you get into more extreme styles of riding. Trail and cross-country riders can go with more lightweight padding. More experienced riders might carry only knee pads, while newer riders might want to protect their elbows, too. In order to stay cooler, more experienced riders sometimes won’t put on any of their padding until they’re poised at the top of a long downhill stretch. All-mountain/enduro riders need thicker, longer pads. Downhill/park riders will also need them, often adding a pair of shin guards to complete their coverage. Unless you’re racing or on a really short ride, you’ll want a pack that can carry all of this great gear you got. That includes the Ten Essentials plus your bike-repair gear. Most riders prefer packs that come with a reservoir or are set up to carry one.